"God of Materialism" by Chen Wen-Ling (Beijing, China: Asia Art Center, 2008). In America I saw the freest and most enlightened men placed in the happiest circumstances that the world affords; it seemed to me as if a cloud habitually hung upon their brow, and I thought them serious and almost sad, even in their pleasures. Their taste for physical gratifications must be regarded as the original source of that secret disquietude which the actions of the Americans betray and of that inconstancy of which they daily afford fresh examples. He who has set his heart exclusively upon the pursuit of worldly welfare is always in a hurry, for he has but a limited time at his disposal to reach, to grasp, and to enjoy it. The recollection of the shortness of life is a constant spur to him. Besides the good things that he possesses, he every instant fancies a thousand others that death will prevent him from trying if he does not try them soon. This thought fills him with anxiety, fear, and regret and keeps his mind in ceaseless trepidation, which leads him perpetually to change his plans and his abode. — Alexis de Toqueville in Democracy in America, Volume II, Chapter XIII, translated from the French by Henry Reeve, edited by Francis Bowen and Phillips Bradley, (New York: Alfred A. Knopf, 1945), p. 136. Originally published in English as Democracy in America: Part the Second, The Social Influence of Democracy, translated by Henry Reeve, (New York: J. & H. G. Langley, 1840). Originally published as De la démocratie en Amérique, (Bruxelles: Hauman, 1835). "WHY THE AMERICANS ARE SO RESTLESS"
Posted on behalf of Alexis de Tocqueville on Tuesday, July 20th, 2010 under Quotations. I agree. 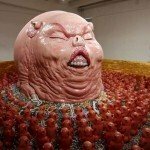 It’s nice to see the Chinese avant garde stepping up onto the world art stage. I highly recommend the review on Madame Pickwick’s Art Blog for an introduction to the artist and lots of interesting links. 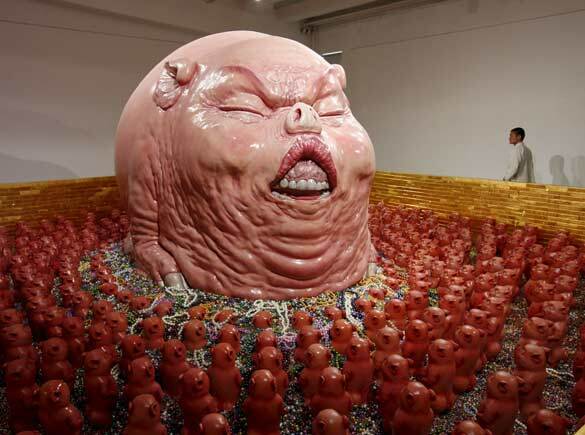 Chen Wen-Ling is a pretty phenomenal sculptor, and his selection of subject matter and accessible style have apparently moved him to the forefront of contemporary Chinese artists. I really dig his “China Scene” series, which are accessible on his website. It’s uncanny how this might as well have been written yesterday… Very profound.